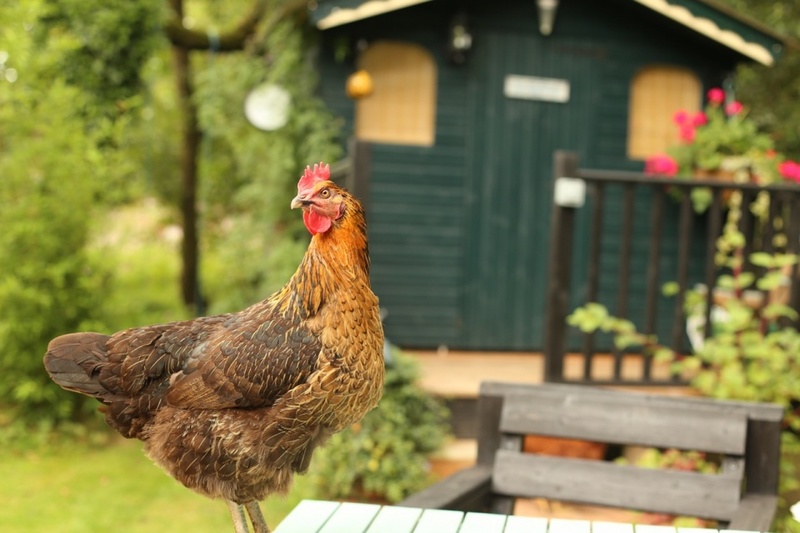 Elbow Room – One drawback to most vacation spots is their popularity. If you’ve ever visited Orlando, Florida in the summer, then you know what we’re talking about. Sometimes the crowds are so thick it’s all you can do to breathe. Not so with Kauai. It’s the same size as Oahu, an island with a population in excess of 1 million. Kauai, on the other hand, is home to 70,000. Yet it offers all the amenities you would expect from a premier destination, including a rich array of shopping, dining, and entertainment venues. And, because Kauai is less crowded than other islands, you’ll actually have room to enjoy yourself. Best of Both Worlds – Kauai is the perfect destination for all kinds of travelers. If you have a family, there are plenty of kid-friendly activities and beaches. Looking for a romantic spot to dine or watch the sunset? There is no better place than our tropical beaches and flavorful island cuisine. You can enjoy sightseeing and exploring towns or the wilderness, or lounge on the beach. 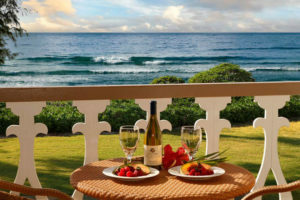 To put it simply, Kauai is a great place to customize your vacation. Natural Beauty – When planning a vacation, one of the hard choices families must make is whether to go to the mountains or to the beach. After all, it’s hard to find both options close to each other, especially in the lower 48 states. You won’t have that problem when you choose Kauai for your next trip. The tranquil beauty of the Pacific Ocean is mere feet from your door. Yet you can also explore some of the most majestic peaks found anywhere on earth, many of which are within a stone’s throw of Waipouli Beach Resort.If you love nothing more than mile after mile of crystal seas and white sand, then Kauai is the place for you. 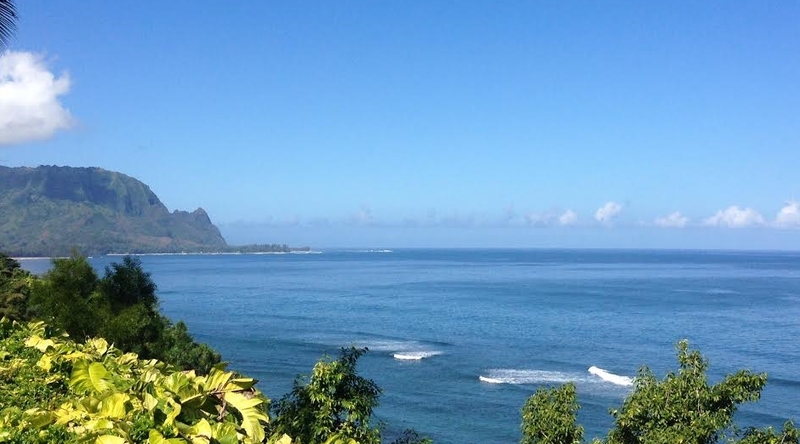 From Hanalei Bay in the North to Poipu beach in the South, you’ll find plenty of places to dip your toes in the water, swim in the ocean, or just kick back and watch the waves crash against the shore. Then can take a drive and see beautiful mountains and beaches. Want more? We’ve got it. 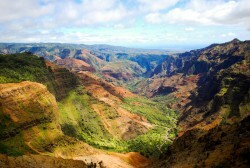 Kauai also offers spectacular canyons, mystery-shrouded rivers, natural swimming pools, and public parks galore. 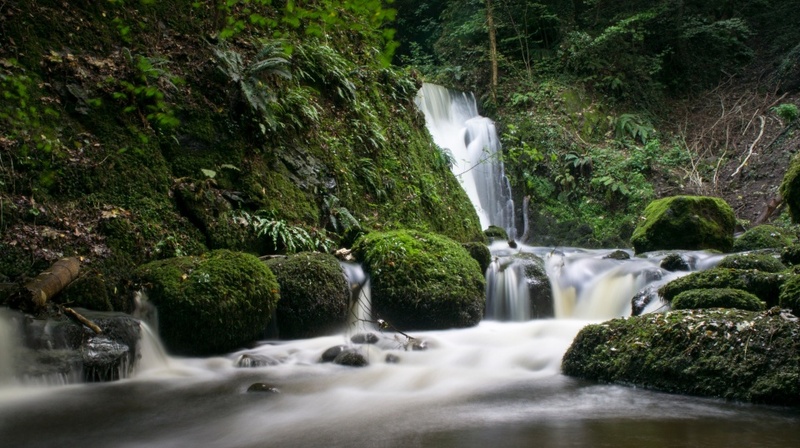 Where else can you find such an amazing array of outdoor adventure? Adventurer’s Paradise – You can opt for an adventurous day surfing, sailing or snorkeling, or the more sedate thrill of paddling a boat along an exotic, winding river, you’ll find plenty to do on Kauai. You can set out on your own or rely on the trusted expertise of local guides and book an adventure tour where you use an off-road vehicle to find waterfalls or float down mountains in an inner tube. This is the perfect destination to try new and exciting activities! Great food – An essential part of any successful getaway. And the key to delicious flavor is freshness, as any seafood lover knows well. This is just one more reason to visit Kauai, also known as the “Garden Isle.” Our farmers grow pineapples, bananas, mangos, papayas, sugarcane, guava, avocado, and many other fruits and vegetables. Kauai is also home to thriving coffee plantations with some of the best brew you’ll taste anywhere. Vibrant Culture –There’s no sense in traveling to Hawaii unless you spend some time learning about the local people and their rich culture. That can be hard to do on the other islands, many of which offer the same prepackaged, mass-produced experience to every visitor. Kauai is different. It’s authentic. It’s important to learn to respect the land on Kauai as many of the islanders have never left the island before and sharing it with tourists can be hard, but it’s easy to share when the tourists are eager to learn about the rich Kauai culture. Hollywood History –While the general public is just now learning bout Kauai, discerning people have known about its delights for quite some time. Hollywood buffs take note: numerous classics were filmed entirely or partially on Kauai. That’s why film producers have chosen the isle to film movies like Blue Hawaii, Jurassic Park, Pirates of the Caribbean, South Pacific, and Raiders of the Lost Ark. Fans of the long-running CBS show MASH will be interested to know that the opening scene, where helicopters are descending in front of a mountain range, was also filmed on Kauai. Local companies offer fully guided tours of the must-see sites, but you can also visit them on your own. 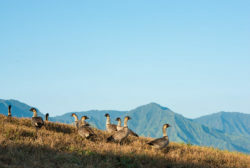 Easy To Come & Go –There are often great flight deals to Kauai. Rent cars, bikes or call a taxi when you want to get around to see the island destinations and attractions. Uber just launched service on Kauai as well, so there are more options for getting around the island! If you want to see new places, we have travel guides for jumping between islands. Once you’re on Kauai, you aren’t stuck there. 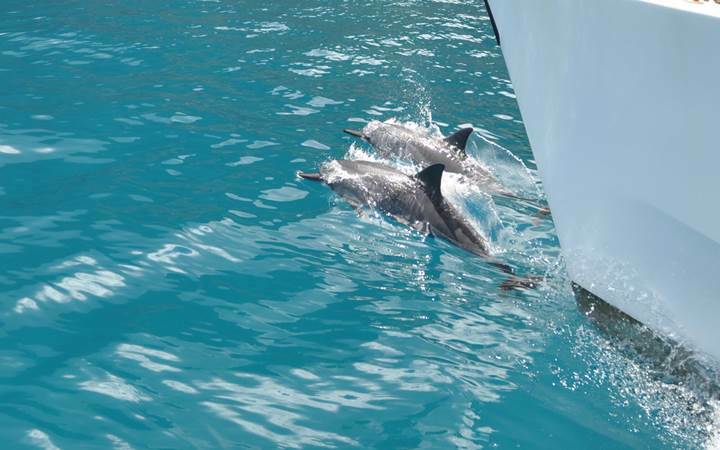 Take a ferry, sailing cruise or short flight to other Hawaiian islands. Entertainment – There are many local festivals throughout the year that speak to the history and culture of the island. Arguably the most recognized part of an Hawaiian vacation is the Luau, a dazzling display of fire and dance with traditional Hawaiian meals to feast on. If you want something more casual, then check out the island bars and restaurants for live music and fun. 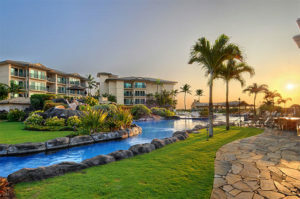 5 Star Vacation Accommodations – As you can see, the reasons to visit Kauai are endless. But, in case you need added inducement, consider the fact that the island has the best vacation properties found anywhere in Hawaii. We should know; we own and manage them. 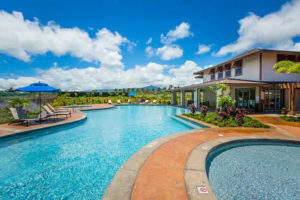 Whether you’re traveling with a large party or simply a special someone, we can match you with the ideal place to call home during your Kauai adventure. There’s only one problem with Kauai’s growing fame. The island won’t stay a treasured secret forever. So why wait any longer? Make your reservations for our five-star oceanfront resort today. And, when you get here, feel free to ask us all about Kauai. We want you to love this island as much as we do. See you soon.